Constitution, as viewed by someone in the late eighteenth century). OK, sure. Point taken. Romney is a shameless panderer. He’ll do whatever you want him to do as long as you’ll promise to vote for him. It’s not a pretty sight. But it also makes him the perfect tea party candidate. Don’t they see this? With a guy like Rick Perry, you never know. The right person whispers in his ear and suddenly he decides that he hates cancer so much that he doesn’t care about conservative principles. Cancer is more important. Do you think Mitt Romney would ever do that? No siree. He’d run that baby dispassionately through the Computron 9000 that passes for a brain and then he’d do exactly what you want him to do. Because he wants you to vote for him. 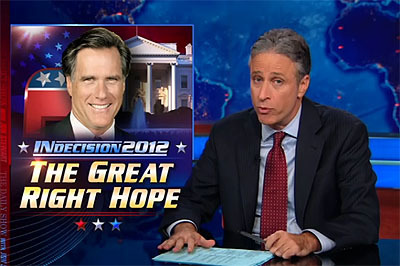 So as long as you keep the pressure on, Romney will never disappoint you. Romney’s big problem, of course, is that tea partiers won’t necessarily figure this out on their own — they just think he’s an unreliable flip-flopper — and it’s hard to figure out how to get the message across to them. It’s not like he can give a speech saying he doesn’t care about principle and will just abjectly do whatever the tea party wants him to do, so help him God. Still, good politicians always figure out how to get messages like this across with a wink and a nudge in just the right place. Romney can do it too if he devotes enough CPU cycles to the problem.